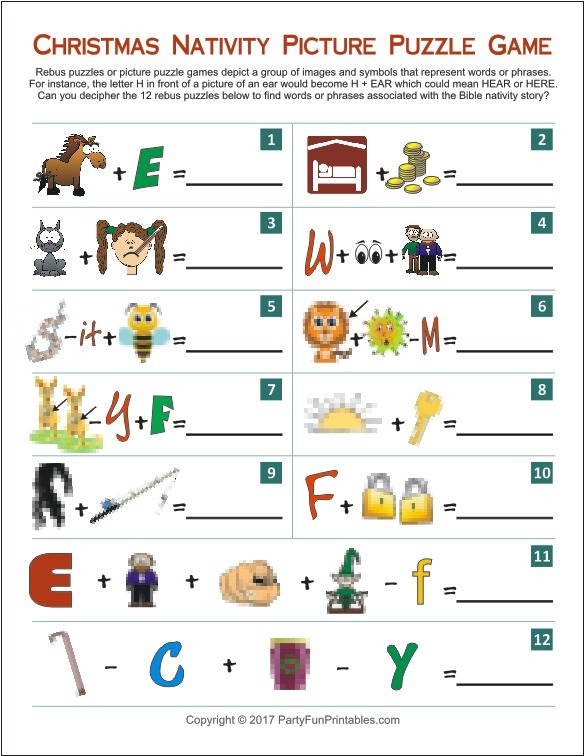 The answer to each rebus in this printable nativity picture puzzle game is a word or phrase associated with the Bible nativity story. How many words can you correctly identify? Let your party members play by themselves or in teams. Each player (or team of players) gets one sheet with 12 rebus picture puzzles on it. 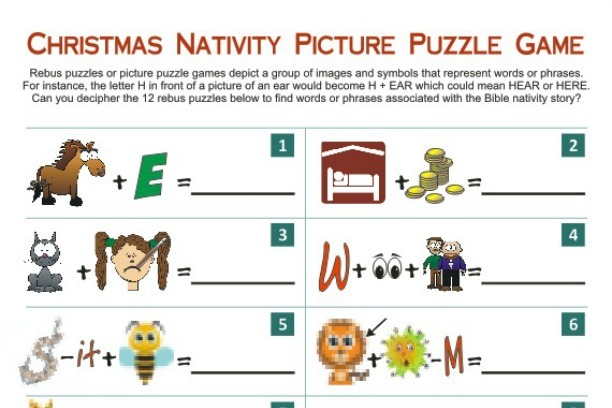 Each of these picture puzzles represents a word or phrase associated with the nativity. Participants determine what word/phrase each rebus represents. 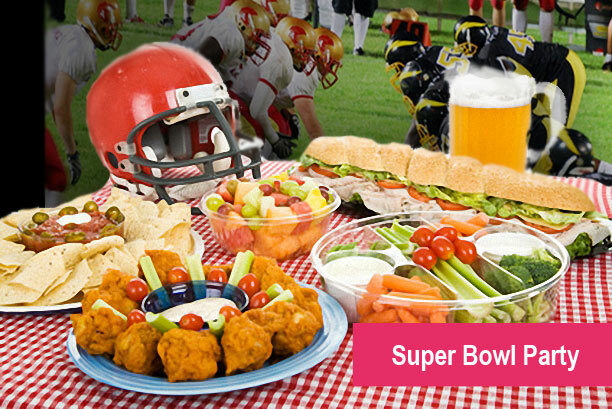 Set a time limit of 3-5 minutes or play till one person or team gets all the answers right. The player(s) with the most correct words or the player(s) who guesses all of the words correctly first WINS! 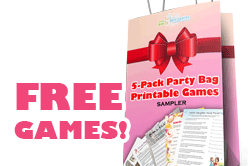 Just print out as many sheets as you need to accommodate your party. You can hand out the sheets (1 per player or 1 per team). Players add their answers to the sheet they are given. The host should print one copy of the answer sheet for reference when deciding on a WINNER!